Judy Won't Use A Cell Phone To Buy Merchandise? Does it make sense to have three managers in your marketing department ... one that caters to Judy, a 59 year old often-times rural shopper who isn't going to embrace new technology ... one that caters specifically to Jennifer, a 43 year old who will comparison shop at Best Buy before buying at Amazon ... and one that caters to Jasmine, the 27 year old who constantly checks her iPhone for deals from her favorite flash site? If you had three customer persona managers, would you have the courage to market to each customer differently, and would you be willing to reward employees who increase spend among a specific customer persona? What are the odds of convincing Judy to change her behavior and use her cell phone to research merchandise? You like Judy, Jennifer, and Jasmine! Readership is up 40% this week, and clicks through links in the articles are at an all-time high. We get a lot of conflicting information, don't we? 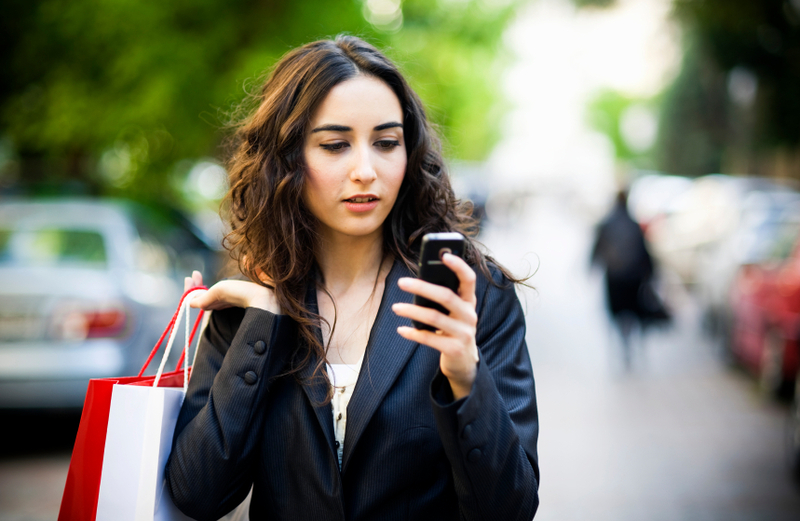 We're told that if we aren't fully fluent in mobile marketing, we'll become irrelevant. Well, if our customer is Judy, mobile marketing is largely irrelevant!! Email marketers tell us to focus on relevant content. Well, for Jasmine, that might be everyday low prices. For Jennifer, that might be 20% off plus free shipping, so long as the competition doesn't offer a better deal. Judy just wants the catalog in the mail box. Social media experts demand that you have a conversation. Judy doesn't want a conversation, she wants to be on Facebook to see her grandchild! In other words, it is important to know who your customer is! Channels are irrelevant, to be honest, they are the means by which different customers with different interests express themselves. Given the popularity of the series, you're going to continue to hear about Judy, Jennifer, and Jasmine. When you are ready to have me analyze your customer base, contact me! Before I leave you, why not take a brief quiz? Match the persona (Judy, Jennifer, Jasmine) to each brand below. Once you ace this quiz, think about each business from a marketing standpoint. How does social, mobile, classic e-commerce, and offline marketing impact Judy, Jennifer, and Jasmine at each company? What would your strategy be for each tactic? I previously spoke about a "Transformational" customer. From this point forward, that customer will be known as Jasmine. Jasmine is different than the customer we've been analyzing for a long, long time. In fact, catalogers and many online marketers are uncomfortable with fundamental differences in Jasmine's behavior vs. prior generations. Jasmine is 27, but she is representative of a customer between the ages of 18 and 34. Jasmine doesn't have the earning power she will one day have. Therefore, Jasmine has to find the best deals at the best prices. She's not going to pay $400 for a handbag, when she can spend $99 for a handbag at a flash sales website. You can't market to her by offering 20% off plus free shipping ... she simply won't buy unless free shipping is part of the brand, and she thinks brands inflate prices, so she's looking for deals that work for her. Jasmine approves of this (click here). Jasmine "lives" social and mobile. This is a fundamental difference from Judy and Jennifer. Jasmine's experiences are infused with social and mobile. Facebook and Twitter aren't social media, they're "utilities", much like Comcast or your local electric company. And this means a lot, because you cannot separate out and attribute social or mobile and assign marketing value to each channel. She buys from Shoemint.com ... social and mobile and email ARE the experience, that brand curates for her, you don't separate and attribute her spend to any channels in this case. If Jasmine had to choose between internet access, a car, or her cell phone, she'd choose her cell phone. The cell phone is to Jasmine as the internet is to Jennifer and as cable television is to Judy. Jasmine likes low prices, scoring a deal on MyHabit or One Kings Lane or Fab.com or Gilt Group. She'll recruit friends to get discounts from businesses she shops at, she will use her phone to score a great deal, and she loves the simplicity of the mobile shopping experience. In some ways, an element of gamification motivates Jasmine, she likes completing tasks and earning credits/discounts for completing tasks (see the first twelve steps required to be on Shoemint.com for an example ... go do that right now). Jasmine doesn't trust advertising as much as she trusts her friends and the opinions of others. Her inner circle of 400 people provide all the information she needs to make good decisions. She says that if something is happening in the world, "it will find her". This is different than Jennifer, who spends time finding/hunting things, and is different than Judy, who likes to watch The Today Show to learn what might be important. You will have to seed a lot of clouds to be able to reach Jasmine. Jasmine will take a picture of something she likes at Aldo Shoes, and solicit feedback from her friends before buying the item. She might spend time at Best Buy with her husband, reviewing items, then comparing prices on Amazon while in-store, finally settling for a comparable item on Amazon. While she participates in social commerce, Jasmine is almost post-social commerce, she's not going to be labeled, but instead, she is simply shopping in a way that is congruent with how she lives. This style of shopping is not recognizable to Judy. Jasmine is not going to read a newspaper unless she's stuck at an airport for two hours and her iPhone needs charging. Jasmine likes Spotify, she thinks paying $10 a month for millions of songs is better than paying $0.99 per song. Conversely, Jennifer loves iTunes, while Judy still buys CDs at her local Target store. All that being said, Jasmine will buy sheets from Cuddledown of Maine, but this behavior is not likely to be habit forming, and Jasmine had better get free shipping and an everyday low price. Judy loves a sale. Jennifer loves hunting for the best price. Jasmine shops if the business offers an everyday low price. Jasmine will participate in a "gamified" experience that results in earning credits that yield a low price. Jasmine may or may not like this style of merchandising, but it is more aligned with her style than old-school marketing (click here please). Conversely, Judy expects this content to be delivered to her via a television commercial. Different approaches are used to reach Judy and Jasmine. Judy barely trusts having passwords online. Jennifer has a hundred different online passwords. Jasmine shares her passwords with trusted friends, it's almost a form of trust currency. Last week on Twitter, an 18-34 year old individual told that people like Jasmine will "do the marketing for you if you treat her well and let her do her job." This is the complete opposite of Judy, who waits for companies to rent her name from a co-op so that she can see their catalog. It isn't hard to identify Jasmine in your customer base, so get busy! Record the referring URL, any blogs in your industry or Facebook or Twitter are key indicators that you're dealing with Jasmine. She's a "true mobile" individual, using her iPhone or Android device ... she may use an iPad, but that's more likely to be Jennifer. She likes sales/discounts, but she prefers low price point items. She demand free shipping. Heck, if you are Fab.com, half your database is comprised of people like Jasmine! Even if you're a traditional catalog brand, you have online customers with no attribution to catalogs/email who shop infrequently, off price, with free shipping ... hint ... this is Jasmine! We care about Jasmine, because the marketing strategy for her has to be very different. In my studies, 50% - 80% of what Jasmine spends is not associated with catalog marketing. In other words, catalog matchback programs significantly, and I mean significantly overstate what she spends because of catalog marketing. Instead of 18 catalogs a year, Jasmine needs maybe 3, all within a month or two of a purchase. So get busy segmenting your database. Find out who Judy, Jennifer, and Jasmine are, and start treating them differently. You'll be significantly more profitable, and you'll make Judy, Jennifer, and Jasmine happier. Next week, we'll dig a bit deeper, learning more about how to deal with Judy, Jennifer, and Jasmine. Yesterday, you were introduced to Judy, the classic Traditional customer. Today, I introduce you to Jennifer, what I previously called the Transitional customer. Think of Jennifer as a professional or service-oriented 43 year old customer (though she could be anywhere between 35 and 49 years old), a woman who spent her formative shopping years on the internet. Here's a few things you need to know about Jennifer. Jennifer and the internet are "one". If Google truly went down in protest of SOPA or PIPA, Jennifer would quietly implode. Jennifer is willing to pay full price for merchandise she loves from brands she trusts, but she's never going to pay for shipping or handling. Jennifer will use any affiliate possible to get free shipping, she'll visit coupon sites, she'll like you on Facebook for discounts, she'll subscribe to and click through your email campaigns just to get the discount. Channel marketers will say that Facebook or email "work", but to Jennifer, it's a means to an end ... a way to make sure she gets free shipping and hopefully a discount, too. Jennifer is "post-channel", not "multi-channel". Jennifer will scorch the internet to get a deal. Do not get in her way! In fact, Jennifer loves sites like Coupon Cabin, she enjoys Kate Gosselin's blog. Jennifer carefully reads reviews from other purchasers. Jennifer does not want to be burned when she spends $399 on a handbag. That handbag better come with a 4.8 out of 5.0 stars and have at least a dozen positive reviews. Jennifer likes events like Cyber Monday, where she gets to combine discounts with promotions and fun. She doesn't have to go to the mall on Black Friday and yet she gets great deals. She feels like a "slueth", she literally "hunts" for merchandise at the best price. Jennifer spent her formative shopping years on the internet. She met her husband on AOL. She had an "Excite Homepage" before people knew what Excite even was. She discovered Google in 2000. If Jennifer were in college today, she'd argue that you don't need to study for a test, you need to know how to leverage Google and Wikipedia to get the answers you need. Because Jennifer was weaned on AOL, she has always been first to be "social". She used email, she joined MySpace, then Facebook, and then Twitter, and is one of the biggest fans of Pinterest you'll find. Jennifer is the customer that email marketers are measuring. All email marketers should code Jennifer in the database and actively measure her behavior. Jennifer browses catalogs, and even buys online after reviewing a catalog. However, half of the demand that is attributed in matchbacks to catalog marketing would happen anyway. You can mail Jennifer far fewer catalogs and get almost all of her demand. Catalogers do not want to hear this. Attribution wonks struggle with Jennifer, because she "does everything". She receives catalogs, she browses catalogs, she uses Google to comparison shop, she clicks through an email campaign, she visits a coupon site for a discount code, she visits via an iPad after reviewing your catalog in an app, she likes you on Facebook, and she buys on your website. Jennifer "hunts" for her merchandise. Hunters cover a lot of ground! Take any channel except Google away from Jennifer, and she'll hunt for a new way to get to the same end result. Just make sure she can get to her discount code in some way, and she'll buy from you regardless of email or catalog strategy. Jennifer is the iPad user you're currently tracking. She will dictate what the iPad app experience will look like in 2015. Jennifer found Zappos before anybody else ... she liked free shipping both ways, and she loved the fact that her shoes arrived in a day or two. "Why can't everybody do that?" is something she said often in the early days of Zappos. Jennifer has formed a "shopping habit" on Zappos, paying for Amazon Prime, buying consumables and having them shipped to her home. She has no loyalty to the merchants she buys from on Amazon, all of her loyalty is with Amazon and only Amazon. If Judy buys a CD at Target, Jennifer loads up her iPad with music ... "I'm not going to sit here and listen to songs and commercials that I don't like, life is too short for that." We can easily spot Jennifer in our database. She doesn't purchase via mail or phone. She often combines channels (receives email, visits via search twice, buys via a free shipping code from an affiliate) to place online orders. She is more likely than average to take advantage of discounts and promotions. She might be first to jump on new products or fashion products. She's probably not one to be hooked on "winning products", as she has a sense of style and fashion that goes beyond what everybody else is doing. She's an email subscriber using Gmail. She purchases on Cyber Monday. She visits the site a lot and doesn't purchase (online wonks think they have to fix this problem ... they don't ... that's just the way Jennifer behaves, just get a discount code in her hand and you'll be fine). It's easy to find Jennifer in a database. Find her. Segment her! Then start speaking her language, a language that probably doesn't include 22 catalog mailings per year. In my consulting projects, I am routinely able to cut catalogs by 30% - 60% to this customer without a significant drop in demand. Go set this attribute up in the database ... NOW!! Tomorrow, we meet our Transformational customer, named Jasmine. Maybe you've heard me talk about terms like "Traditioanls", "Transitionals", and "Transformationals", and you say to yourself ... "geez, I don't get it, at all." She's 59 years old, though people like her are likely to be somewhere between 50 and 64 years old. She adores shopping from catalogs, always has, always will. She reads catalogs in bed. She is a catalog veteran. If there were an all-star game for catalog shoppers, she'd be on the starting team. She's most likely to purchase over the telephone, and may even send a check through the mail (yes, people still do that). Even now, seventeen years after e-commerce began in full force, Judy prefers to speak to a live voice, over the telephone, when giving out her credit card. Judy has an email address ... AOL or Yahoo! or Hotmail or via her local cable television provider. She's not much of a Microsoft Outlook user. Judy is on Facebook. She almost has to be, because that's the easiest way for her to see pictures of her grandchildren, or for her to maintain relationships with her "pen pals". Judy lives a few hours from the nearest "Galleria", so she's not a big mall shopper. Judy will pay for shipping and handling. She doesn't spend hours looking up free shipping codes online, and has been in a multi-decade habit of paying $12.95 to have products shipped to her home. Paying for shipping and handling is a habit for Judy. Judy likes the consistency of winning products, and she can be stimulated to purchase new products as well. Judy has a cell phone, she may even have an iPhone, but she's not likely to take part in flash sales, nor is she likely to download apps. She just wants to play Hearts on her phone, and likes playing with various ring tones that tell her that her husband is calling. Judy owns a desktop computer, and only recently upgraded to DSL broadband. Judy can use an iPad, she takes to it immediately, but doesn't see the reason to spend $600 to purchase one, and there's certainly no reason to buy from an iPad app when you can just pick up the phone and call somebody. Judy likes to use email to forward jokes and pictures of Zooborns. If Judy buys online, she dutifully plugs in a catalog key code off of the back of her catalog. We can identify people like Judy, can't we? We simply dig into our database, find customers who prefer to shop via mail/phone, find customers who live in rural areas, find customers who willing pay for shipping and handling, find customers who enter key codes online, find those with an AOL/Yahoo!/Hotmail account, and we've found "Judy"! So go do just that, because Judy is exactly the kind of customer who wants to receive more catalogs. A few things to keep in mind, when crafting a marketing strategy for Judy. Judy doesn't want to change. She's on Facebook to see her grandchildren, not to embrace the future of F-commerce. You will not get Judy to change channels, sorry. Judy doesn't want you to change the creative in your catalog, either. She's used to what you do, your catalogs are on her coffee table, she knows you, she doesn't want change. You look at, say, Coldwater Creek. You visit their Twitter page, and notice that Coldwater Creek, COLDWATER CREEK, has fewer than half as many followers on Twitter as I have. You say to yourself, if you're a pundit, "my goodness, what a complete social media failure, they don't have a clue." That opinion is completely, utterly wrong. No, Coldwater Creek (check Quantcast for proof) has a TON of customers like Judy ... a TON. Judy DOES NOT CARE about Twitter. Judy is never going to care about Twitter. Judy just wants the darn catalog placed in her mailbox on Monday morning. Social media pundits simply do not understand Judy. Catalogers have come to embrace Judy, this is the niche that still raves about catalogs. There is a ton of profit to be had within this niche for the next 5-10 years. You, the Catalog CEO, have an opportunity to capitalize on this audience. This is the customer your co-ops are optimizing for. It isn't hard to identify Judy in your customer database. 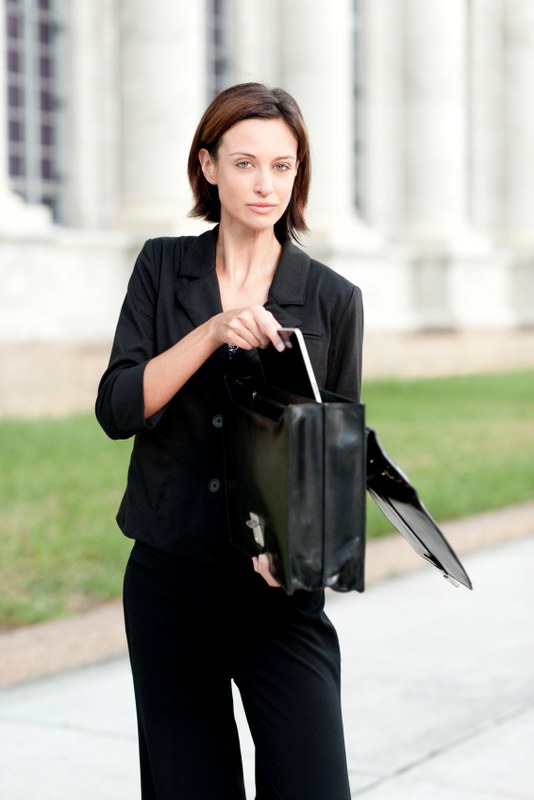 It's time to get busy segmenting people like her. Get this attribute in your database, now!! Tomorrow, we explore the Transitional customer, whom I call "Jennifer". I recently enjoyed a discussion with the owner of a business. This individual is uber-successful, a self-made member of the 1%, one who did it the hard way, one honest transaction at a time. His business evolved. He did the right things, and as a result, his customer became much, much younger. Younger customers, as it turns out, behave very different than the 55+ customer this owner generated 25 years of profit from. "I want for my business to be like it used to be. Tell me how I can run a catalog business like I did ten or fifteen years ago. What are the steps I can take to get customers to do what they used to do? I loved my business fifteen years ago." I told this person that he would never be able to get his business to look like it looked ten or fifteen years ago. I told him that, because of the decisions he made, his customer base evolved and changed. His business would never again look like the business he loved to manage. This individual never communicated with me again. "It's like I have two very different customers. The first customer won't buy anything unless we send catalogs to her. She's old. She won't move into the future. Our whole company, our way of doing things, is calibrated to this individual. All of our meetings are set up around planning catalog mailings for this customer. Then we have another customer. She buys online, and there's a problem with this customer. She only buys when we offer her 20% off plus free shipping. She simply won't buy without a discount. These discounts are killing us. We can't cover our fixed costs with the discounts. We can't cover our fixed costs without the discounts because she won't buy anything. How did we end up with one business and two completely separate customers, and worse, how do we get out of this problem?" That's a tale you should know, well. "I read your content because I'm fascinated with the disconnect between how traditional companies market, and how I market. This is my third company, I sold the first two for a significant profit. I have yet to spend any real money on marketing. That's right, I don't have to spend any money marketing to customers. I build social and mobile and viral and game-based elements into everything I do. When I do this, customer acquisition is free. I built a list of hundreds of thousands of prospects, it only takes a few months if you do it right. Then I create an environment that causes customers to want to share, to play with each other, to compete, to be recognized, to engage. I don't know any other way to do this. It works. And it fascinates me to read what you write, to see how traditional companies almost take the opposite approach and then grumble about it." Do you remember the Gliebers Dresses series? I tried, hard, to explain what was happening to businesses through the series (download the most recent chapter of the story for your Kindle here). Instead, folks embraced the characters, their strengths and their flaws. I can't visit a client without a discussion about the characters and how the characters might deal with various business challenges. People want to know if Roger Morgan and Pepper Morgan aren't getting along, they don't want to know why they may not be getting along! In other words, the "what to do about our changing business environment" was lost in how I communicated the message. Do you remember all of my discussions about the "organic percentage"? This little concept made my clients $24,000,000 of profit opportunity, on an annual basis, spearheaded by Hillstrom's Catalog Marketing Phd (Click here for a copy). $24,000,000. That's a lot of cheese! The booklet caused me to have a 50% increase in project-based work in 2011. The methodology flat-out works. That being said, you don't see the methodology being embraced by the catalog vendor industry, do you? Have you read any other individual talking in the marketing press about how they applied the topics to their business, or to their client base? It's become obvious that I need to change how I communicate to you, because what I have done is highly profitable for my clients and I, but it isn't helping change our industry. Trust me, our industry needs to change. I don't think our industry understand who the customer is anymore. I think we dream about a customer that existed in 1995. We market to a customer that we wanted to exist in 2003. We're stuck in a discount-based profit spiral. We don't have the slightest idea what motivates a modern, younger customer. We have a veritable plethora of social and mobile tactics that "don't work" according to some, and "mean everything" to others. It is my opinion that all of this confusion happens because we have no idea who the customer is. In the past two years, I've conducted countless demographic analyses. The catalog customer, by and large, has become very, very old, on a relative basis. The average person in the United States is somewhere between 35 and 39 years old, the average consumer is somewhere between 43-45 years old. This led me to spend the past six months conducting analytics research, defining who the modern customer is. I've come to the conclusion that there are three high-level personas, personas that can be defined with the existing data you have in your database. These three individuals dictate the meetings we have, the marketing strategies we employ, the profit we generate. Most important, these three customers dictate our future. I'll talk about this at NEMOA in March. Tomorrow, I will begin the process of introducing three e-commerce personas to you. Judy, the 59 year old catalog loving woman that the industry generated three decades of profit off of. This co-op sourced shopper reads catalogs in bed at night. She adores an artfully spun story. Think of her as somebody who loved the J. Peterman storyline on Seinfeld. This "is" the catalog shopper. Jennifer, the 43 year old email subscribing, search-motivated, iPad-toting, affiliate/coupon loving 20% off plus free shipping e-commerce buyer. She's influenced by catalogs, but in reality, she's the person your email marketing team measures, she's the person your attribution guru loses sleep trying to measure. You can generate a TON of profit by cutting back on the number of catalogs you mail this customer ... 40-60% of what she spends is incorrectly matched back to catalogs mailed to her. Jasmine, the 27 year old iPhone-loving, social commerce shopper who can't wait for a deal from Shoemint.com to arrive on her mobile device. This is the customer you read about in the marketing press, on blogs, in trade journals. Catalog marketers do not understand this customer. Making matters worse, Jasmine is largely "post-catalog" ... if you mail a catalog to her, you are likely to incorrectly attribute 70% of her spend to the catalog. Stop mailing Jasmine!! By the way when you rent names from a co-op, you are not renting Jasmine. Tomorrow, we begin the process of understanding each customer. It will take us awhile to get through this discussion, so you're going to hear about Judy, Jennifer, and Jasmine an awful lot through the remainder of winter. Judy, Jennifer, and Jasmine will be built into all subsequent Catalog PhD projects I work on. If you desire, you can easily overlay the attribute on your existing RFM segmentation, allowing you to greatly increase profitability without having to do a significant amount of work. You will want to have your own, customized Catalog PhD project in order to gain access to this information! Or, if you have the skills, I will share methods over the next month that allow you to code this yourself. A few months ago, I conducted a search for cloud computing. Since then, five times a day, sometime more often, this young lady follows me around the internet, offering me a $75 coupon for something I have absolutely no interest in. The marketing channel is called "retargeting". There's a whole host of people who have contempt for direct mail, for that unwelcome intrusion in the mailbox from folks who destroy forests for the sake of wasteful marketing. We have a surprisingly high tolerance for marketing that is fueled by harvesting coal from the ground ... heck, retargeting is "digital", so it is different, it "changes everything". Storm isn't the only company that follows me everywhere I go. Cuddledown of Maine, via Google, follows me because I use them as an example on this blog from time to time. Amazon is chasing me all over the internet, trying to sell me an internet radio that I looked at but never had any intention of buying. Few people care much about digital waste ... you're only spending tenths or hundredths of a penny per "impression". Some impression. Marketing of all types is wasteful. Heck, even this blog consumes coal, so that's not so good either. As we try to grow, we might think a bit about how we could spend less, or better allocate marketing dollars. This is my 2,016th blog post since starting this forum back in 2006. In 2006, housing prices were increasing, they were literally "bubbleicious". 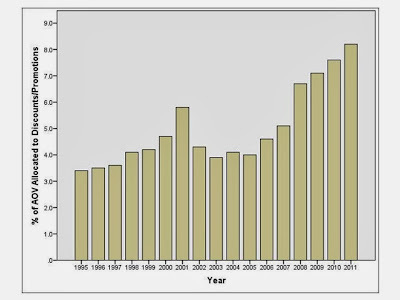 In 2012, you can buy a home for about half of what you purchased it for in 2006. In 2006, customer productivity largely peaked, beginning to decline in 2007, collapsing in 2008, bottoming out in 2009. During the next two years, productivity rebounded, for some, back to 2006 levels, which honestly doesn't work so well when you consider what was lost to inflation over the past six years. In 2006, the Catalog Conference still existed, and trade journals actively covered the catalog industry. In 2012, only NEMOA is there for the catalog industry, and if you look at the agenda for the Spring 2012 conference, it reflects a whole different world than existed in 2006. In 2006, you loaded software on to your laptop. In 2012, you purchase an app for your iPad, a device birthed from the iPhone, a device that didn't exist in 2006. In 2006, the cloud was a place where precipitation was sourced from. In 2012, the cloud is the place where you store your music collection. In 2006, eBay did $4.6 billion in net sales. In 2012, eBay is forecast to do $5.0 billion in mobile sales alone. Let that fact sink in for a moment. In 2006, social commerce was you and a friend shopping at the mall. In 2012 social commerce is hyped as the next big thing. In 2006, Best Buy was hyped as a classic example of a successful "bricks 'n clicks" strategy, competing against Circuit City and their vaunted "buy online, pick-up in store strategy". In 2012, Best Buy hosts physical showrooms that help customers make smart purchase choices on Amazon.com, and Circuit City is gone. In 2006, you purchased a book at Borders. In 2012, you buy a book on a device called a "Kindle" from Amazon, a company that previously hosted half of the "bricks 'n clicks" strategy employed by Borders. By the way, that book is stored "in the cloud". In 2006, you didn't have to verify income to purchase a home. In 2012, many don't have any income and can't afford to buy a home. In 2006, a "Tea Party" represented a quaint gathering among friends. In 2012, the "Tea Party" is a political force, countered by the "Occupy Movement". In 2006, Twitter started with 1 user. In 2012, Twitter has 300,000,000 users worldwide. So, the world seems a bit different today than in 2006. When I started this blog in 2006, catalogers were firmly convinced that they were "multichannel" brands. We mailed catalogs, customers visited our websites and purchased, and we felt very comfortable that we "solved the e-commerce" problem. Then we stopped innovating, didn't we? We contented ourselves with the knowledge that we knew how customers shopped. When we tried new channels, "they didn't work", so we further dug our heels in and pushed catalogs as the primary shopping channel. Coupled with a dependence upon co-ops, we accelerated the aging of our customer base, making it even harder for us to demonstrate that newer channels "work", further pushing us back to catalog marketing as the primary communication vehicle. This evolution in catalog marketing is documented across the past 2,016 blog posts. In fact, this might be the only place on the internet that documents how catalog marketers succeed or fail in a time of change. If these changes happened in six years, what the heck is going to happen between now and 2018? And as catalogers, we need to ask ourselves what place we have in a world that will look very different in 2018? We frequently think about the Transitional customer as one who uses various channels to purchase merchandise. We don't always think about "the merchandise". Transitional customers are exhibiting behaviors that are not "Traditional" in nature. Take this example, from the NHL store. When you order a Vancouver Canucks sweatshirt, you are allowed to personalize the sweatshirt with logos in three different places ... front, right arm, and back. Now, the NHL charges you a few dollars each time you personalize something. This is good for the NHL, good for the customer, and good for the marketer/analyst. Why is it good for the marketer/analyst? Well, you record the information in your database. This little tidbit tells you something about the mindset of the customer. This customer isn't settling for what everybody else purchases, this customer wants something unique and interesting. Twenty years ago, when I worked at Lands' End, we recorded monogramming information in our database. Men who monogrammed shirts, for instance, had better long-term value than did the guy buying a typical shirt ... women who monogrammed towels had better long-term value as well. The database analyst needs to tabulate this information, then link it to future behavior, much like the analyst would analyze any new marketing channel. From a marketing standpoint, this customer is telling you that s/he is different, open to personalized merchandise. This gives you opportunities to market new products, or newly personalized products to this customer. Personalized merchandise is bound to be a trend, we can all see that. Recording and acting upon personalized merchandise in your database should give you a competitive advantage. You probably keep up to date on the plight of the newspaper industry. In fact, you probably read this little ditty from Clay Shirky a few weeks ago. I pay close attention to the newspaper industry (and the music industry), because both are so similar to the catalog industry, in so many ways. Take the music industry. In 1995, I'd drive to Tower Records. In 2002, I burned all of my CDs into MP3s. In 2008, I bought an iPod. In 2010, I bought an iPad. In 2012, I use my iPad, daily, paying Sirius/XM money to stream music, or to listen to ad-supported Yahoo! music, or to occasionally use Spotify (which will likely replace Sirius/XM soon). I consume more music than ever before. But I spend less on music than ever before. Take the newspaper industry. Via Google Reader, I read more content from the NY Times and the Milwaukee Journal/Sentinel than ever before. I pay for neither, I never get to the threshold either publication has where I have to start paying for content. Oh, people do get paid. My DSL provider gets paid. Verizon gets paid. DirecTV gets paid. Think of the catalog as a form of media instead of a tool to encourage the customer to purchase merchandise. In 1995, I had to get the Damark catalog or the J&R Music World catalog or the Crutchfield catalog, if I wanted to buy electronics. The catalog was the way you were informed, in that way, the catalog was like a newspaper, or a radio station. Better yet, the catalog was free! This meant that the catalog had to be "ad supported", if you will, just like a newspaper or a radio station. There were at least four ways that the catalog was ad supported. Pages were literally ad supported ... vendors paid $25,000 for the ability to sell product on a page. Gross Margins ... often 60% or better, which were perfectly acceptable to the customer, because the customer couldn't easily find comparable products. Shipping and Handling ... I recall a year at Eddie Bauer in the 1990s when all profit in the direct channel came from shipping and handing revenue ... let me repeat, all profit in the direct channel came from shipping and handling revenue. List Rental Income ... It was not uncommon for the average cataloger to generate 10% pre-tax profit, with 10% to 25% of the total coming directly from list rental income. What changed over the next seventeen years? Pages can still be ad supported, though advertisers don't necessarily appreciate the demographic audience that receives the catalog. Gross Margins can only be high when products are proprietary, unique, in demand, with inventory well-managed. Shipping and Handling are being eliminated as a profit center. We can't count on it in the future, folks. List Rental Income is dead. The co-ops and Google now earn the money you used to earn. And access to information sure exploded, didn't it? Now Verizon and Comcast control the pipes that deliver information to us, performing the role the USPS used to play. They partner with Google to show us thirty companies that sell a similar item at a similar price with similar shipping options, destroying gross margins in the process. We end up in overstocked positions, requiring discounts and promotions and flash sales to move product, further eroding margins. In other words, technology acted in entirely predictable ways, though we didn't see it coming, we simply tried to bolt e-commerce on to catalogs, calling it "multichannel", pretending that the world didn't change, finding case studies to support our belief in the way we wanted business to be. Now we get to adapt to the world as it exists. I created the "Traditional", "Transitional", and "Transformational" framework to help us adapt to the world as it exists. Think about newspapers, for instance. A Traditional customer gets the news via print, and happily pays to maintain the distribution channel that served him for the past thirty or forty years. A Transitional customer browses media online, "mashing up" a personalized news reader (Google Reader or Twitter) or leveraging the Huffington Post or Drudge Report, as examples. A Transformational customer might use Flipboard to consume information and links published by trusted friends, and won't ever pay the NY Times for digital content, in fact, this user finds the NY Times to be largely irrelevant. The Transitional / Transformational customer aren't going back to a print-based newspaper. We face a similar challenge. We can be catalogers, but we then limit ourselves to a Traditional audience, and we limit ourselves to, at best, half of the Transitional audience. And if we decide to serve the Traditional audience, well, that gets us through 2012 and 2013, but what do we do when this 62 year old customer becomes a 69 year old customer? Let's start using the Traditional / Transitional / Transformational framework to think about our strategic options, both short-term and long-term. Use the newspaper industry as an unbiased predictor of where our future may head. No Better Time For A Catalog PhD Project! 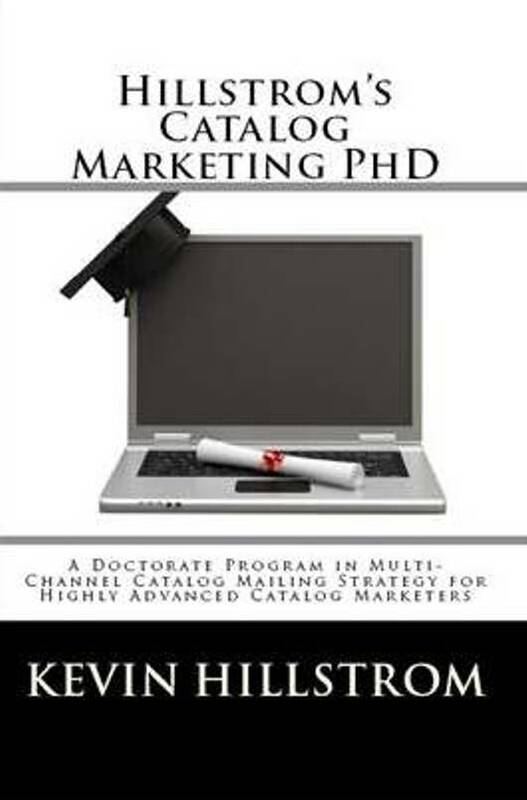 The best selling content of 2010 was "Hillstrom's Catalog Marketing PhD" (Print, and Kindle). And for good reason! Since the start of 2010, clients utilizing the concepts in this booklet realized $24,000,000 in annual profit opportunities. That's a lot of profit. It's pretty easy to arrive a big profit improvements, too ... many online buyers have no interest in receiving catalogs, they just don't tell you their thoughts. Let the math represent the voice of your customer. Many businesses have a Feb - Jan fiscal year. If you're in this camp, then you are about to receive a new marketing budget for 2011. Why not contact me (click here) and we'll get you set up with you own Catalog Marketing PhD project for 2011? I have a brief widow in the calendar to perform a Holiday Customer File Review. I've done quite a few of these over the years ... we look back at the November 1 - December 24 timeframe, studying how your customer file evolved and changed, measuring the impact this had on Christmas demand. How did comp segments of customers perform, or did customer acquisition meet expectations? Were discounts/promotions influential? Did Cyber Monday have an impact? If you're interested, contact me by clicking here, and we'll get you fit into the slot I have available, first come, first served! 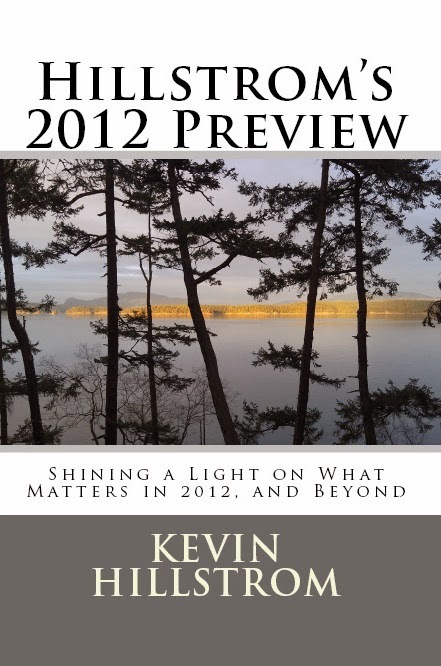 For just $9.95 in print, or $3.95 via Kindle, you get a sixty page booklet full of wisdom and tidbits that set priorities for 2012. I mean, honestly, where else in marketing are you going to fuse concepts like Cyber Monday and the end of the Mayan Calendar? 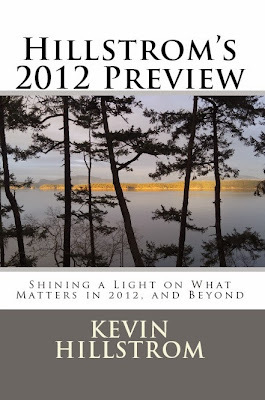 You'll read about both in Hillstrom's 2012 Preview! 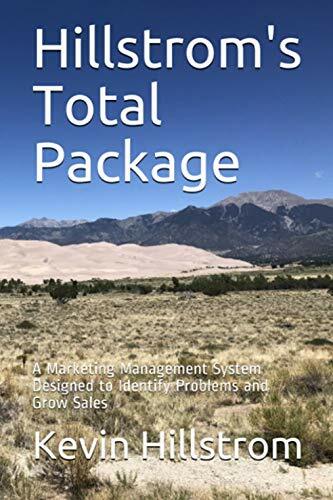 Besides, you'll learn all about Merchandise Forensics, the study of the importance of Winning Products and New Products in the growth of your business. It's 60 pages, packed with monthly insights you'll refer to time and time again. So give it a read, what have you got to lose? Folks who pay attention suggest we've only got until December 21, 2012 before things go sideways, so this text should help you optimize your business between now and then. It's the story nobody in marketing wants to talk about. Pricing. Go back and look at your business. Take the November 1 to December 24 window, and measure the percentage of an average order that is given away, via either free shipping or percentage off offers. Does the graph look something like this? 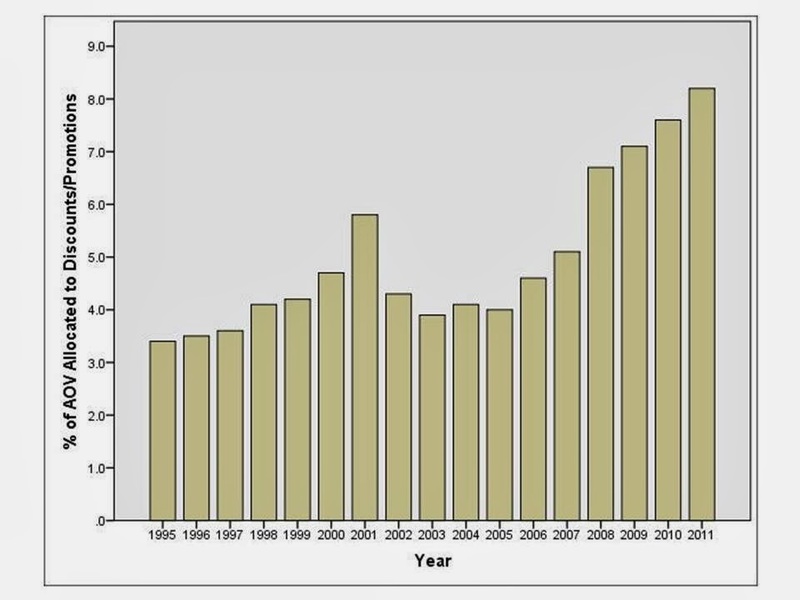 You can see the impact of the post-911 environment in 2001. And you can see the changes that started subtly in 2006 (invention of Cyber Monday), began to ramp up in 2007 (start of the recession / depression), took orbit in 2008 (financial crisis), and have continued unabated since. We don't like to talk about this, do we? We dance around the topic, saying we "have" to discount to "remain competitive". Why not perform another analysis? Go look at the evolution of your customer file, from 1995 to current. Count the number of customers who purchased exactly two times per year. Then count the number of customers who purchase exactly one time per year. What do you observe? I often observe that the number of two-time buyers, per year, is in decline, while the number of one-time purchasers is flat or growing. The middle class, which formed the foundation of the typical catalog brand, is being obliterated. Couple the aging of the customer file with the financial ability of the customer file to continue to purchase, and you have a problem. Our response to the problem is to offer 30% off plus free shipping,. Instead of asking what our "promotional strategy" is, we are better served thinking strategically about this topic. What is our value proposition? How do we price things in a way that allows us to generate a profit, while keeping our merchandise competitive and affordable? Not everybody has to discount. Apple sure doesn't have to discount, do they, when is the last time you got an iPad from an Apple store for 40% off? Verizon doesn't seem to have to discount data plans. DirecTV doesn't seem to need to discount monthly access to HD programming. McDonalds seems to be able to raise the price of a Hamburger quite nicely over time. So there's a lot of moving parts here. Customer files are aging in catalog marketing. Retailers only --- sales tax collection and crippling debt apply pressure to prices. Shifting wants to digital products. All of which require a response from a business leader. In 2012, somewhere between 8,000 and 22,000 Catalog Executive Teams will discuss the role of pricing in the future of a catalog business. Do we adjust prices to reflect reality? Do we offer discounts/promotions, attracting a specific type of buyer that may not purchase at full price? Do we hold prices flat and accept a shrinking business? Do we make free shipping permanent, and if so, how do we pay for it (hint, circulation reductions to over-mailed housefile buyers)? Or can we raise prices (many of us can)? It's time to move pricing into the strategic realm, and not consider it a discount/promotional tactic.